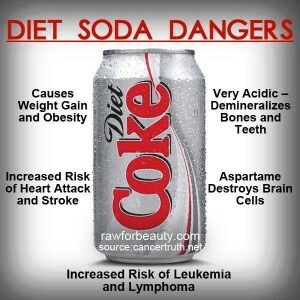 IN THE NEWS: DRINKING SODA AGES YOUR IMMUNE CELLS SIMILAR TO THAT OF A DAILY SMOKING HABIT Research published in the American Journal of Public Health claims that drinking soda on a daily basis ages your immune cells to a degree similar to that of a daily smoking habit. To reach this conclusion, the researchers studied the effect of sugary sodas on human telomeres. At the very tip of each arm of the chromosome is where you’ll find the telomere. Your telomeres shorten with time because they cannot replicate completely each time the cell divides. Hence, as you get older, your telomeres get shorter and shorter.They found that people who drank more sugary soda tended to have shorter telomeres. Drinking an 8-ounce daily serving of soda corresponded to 1.9 years of additional aging, and drinking a daily 20-ounce serving was linked to 4.6 more years of aging. WELLNESS: STOP COLDS, FLU EVEN EBOLA WITH NIXALL For those of you who already have Nixall you have a powerful defense against colds and flu’s. The news on Nixall keeps coming in; see the list of organisms below that Nixall can kill. Simply spray it in your throat when you have signs of a developing infection and it will usually stop it in its tracks. Even your own white blood cells manufacture and release Hypochlorous acid as part of its chemical warfare against microorganisms, they can’t defend themselves against it so there will not be any resistant organisms produced. Don’t forget we carry nasal applicators where you can mix Nixall with saline or water at 50% and it’s still equally effective. If you have a nebulizer you can use Nixall along with key essential oils to help rehabilitate the bronchial tubes and lungs. Nixall is safe enough to spray in your eye if you had conjunctivitis, it can be sprayed in the ear, one common route for viruses to get in the system, and it will not sting when sprayed upon cuts or wounds and it maximizes the healing by eliminating harmful organisms. Testing of Hypochlorous acid (HOCL) has documented Its TOTAL EFFECTIVENESS IN THE ELIMINATION OF Salmonella spp, E.coli, Pseudomonas aeruginosa, Ebola, Tuberculosis (TB), Legionella pneumophila, Anthrax Spores, Staphylococcus, Listeria, HIV, MRSA methicillin-resistant Staphylococcus aureus, Norovirus, human and animal Influenza (including H5N1 Avian Influenza), and many more. CONDITION OF THE WEEK: FOOT PAIN can come from many different conditions. Fallen arches, bunions, plantar fasciitis, heel spurs and sciatica to name a few. We are proud to offer custom orthotics (arch supports) to help establish a better balance of the foot. Most of the conditions just named can be helped if not completely corrected with a good pair of custom orthotics. Sometimes adjusting the foot or Kinesio taping can bring great belief. But foot pain could be coming from the back and the chiropractic adjustment could make all the difference in the world. FUNNY BONE: RAC Motoring Services: Caller: “Does your European Breakdown Policy cover me when I am travelling in Australia? Operator: Doesn’t the product give you a clue? This entry was posted in News and tagged acid reflux, Breathing, child, depression, Dr. keefe, health, pain, tulsa chiropractor, WATER by DocJohn. Bookmark the permalink.